Mrs Rana Zaim Idriss has been involved in numerous real estate investment and development projects across the MENA region. Rana is a member of Al Zaim Family Group, one of the largest family-owned businesses in the GCC region; their investments ranging through many sectors from the Energy Transportation Industry, to Telecom, Oil and Gas, Tourism, and Construction. She is an active member of the Young President Organization, the World President Organization and the Chief Executive Organization. 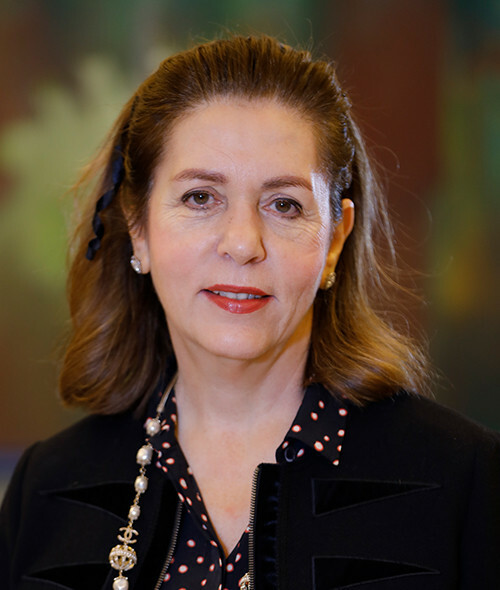 Mrs. Idriss is also an advisory board member of Amideast Lebanon and a member of the International Women Forum. She has a Bachelor’s degree in Civil Engineering and two Master’s Degrees in Earthquake Design and Engineering Management from the American University of Beirut. Rana has attended Executive Education Programs at Harvard University and at London Business School.